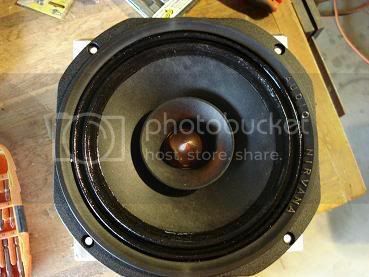 Forums - DB12 build PICS! i am in the process of building my first DB12. i have build db10's wo's hwk10 hwk 15. it's pretty much done. i will be testing it out soon. Hopefully it amazes me as much as the other boxes. 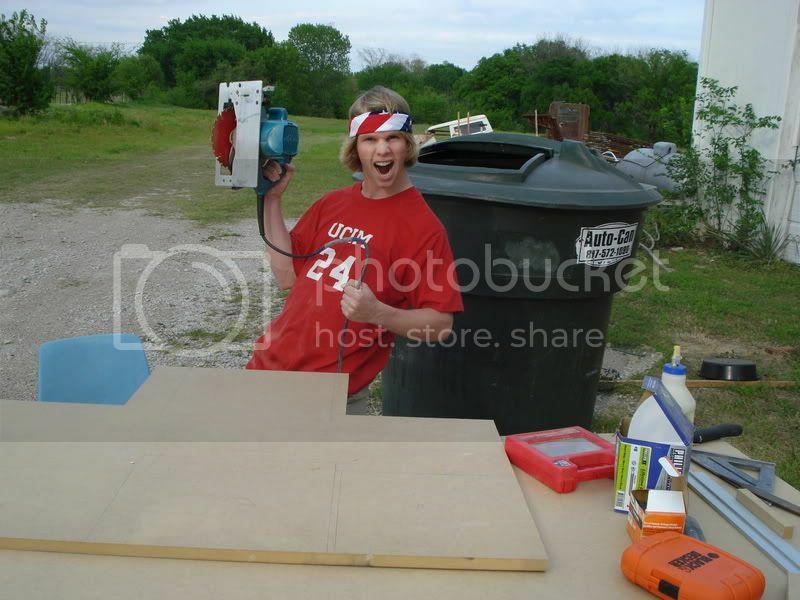 me gettin ready to cut it up! my wo32 was the best sub i ever heard, you GOTTA build that next. sorry i don't have the specs for the sub right now. dang that's not the sub you use in your wo 32 is it? i am also in the process of building the wo32. I cut it all up about like 6 months ago but haven't got around to puttin it all together. I got a few questions on it. did you use the little brace piece that goes in the biginning of the horn? close to the speaker. zygi says it is really important to have. know what i'm talking about? 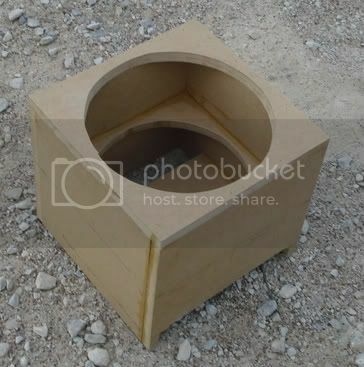 and how did you assemble speaker baffle? did you do it like plans say? did you have to router (i think that is what it's called) the piece that the sub pushes against? this all i have done. 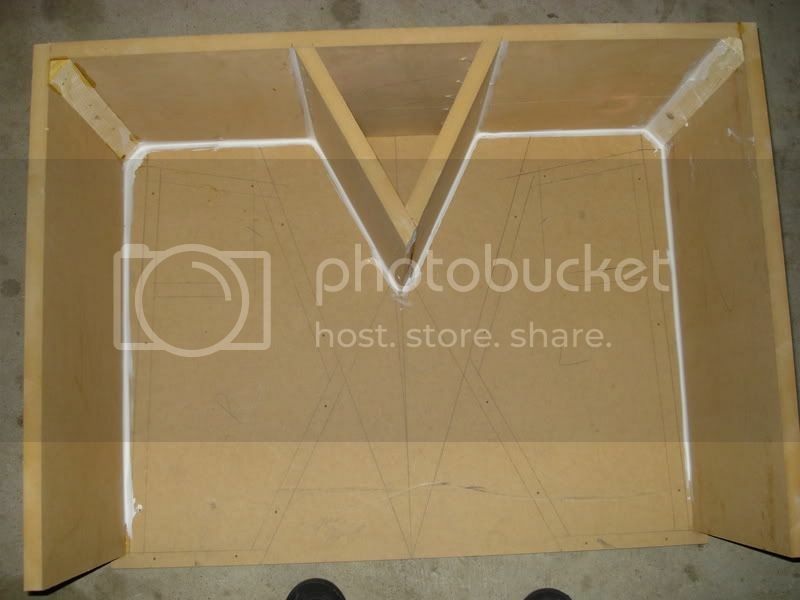 i tried to build it exactly like the plans, every piece of wood was in there, not perfect, but as close as i could. i dont own router, so i mounted the subs to a 'removeable' baffle (like in the plans, its easy when you actually do it) and then i cut the hole in front of the subs just a little bigger so they poked thru.theres some other weird bits of wood here and there that require some thinking and make no sense, till you hear it. 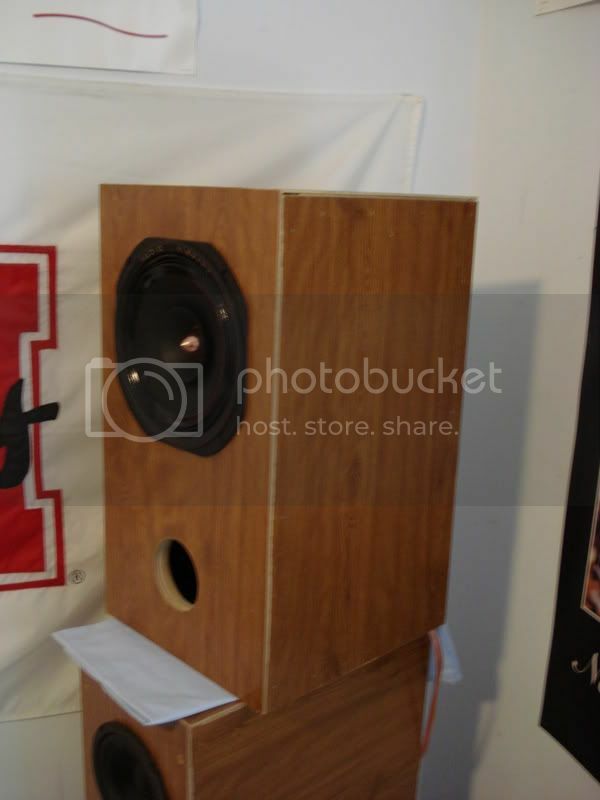 get your wo32 finished, as close to the plans as you can, you will love it more than any subwoofer you have ever built. house only, not in a vehicle. 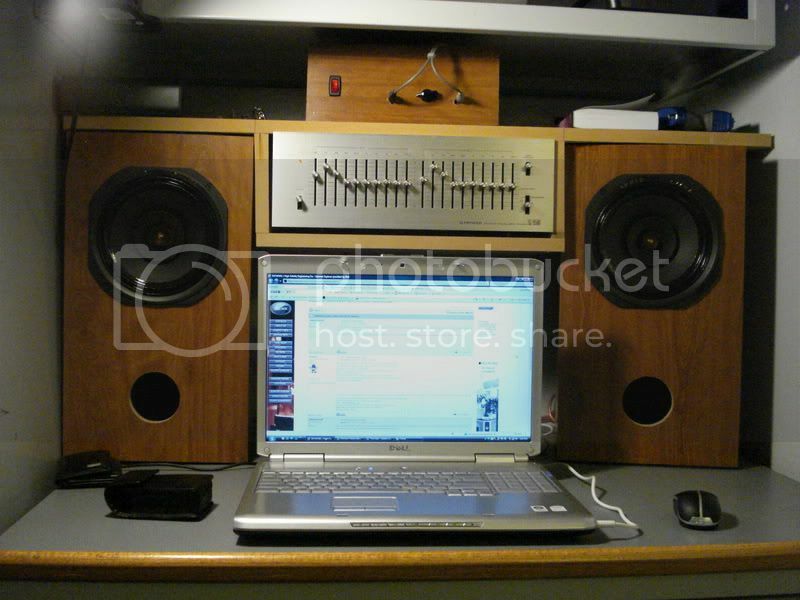 that pic ^ is just a pic of a sub i thught youd like i used 'dayton series 2' 10" subs in my wo32. yea that sub is HUGE what size and brand is it? u have it in that box with your head in it? how does it sound? wow the wo32 is that good. i got to get out and finish it. I'm gettin the dayton series II also with the bash 500 amp. have you built the HDT's? its a memphis lvs 18"
with speakers i have the feeling if things are not exactly right the performance of the speaker will suffer badly. WOW that is insane! how did you like the soundslpinter sub? whats the decwaremg944? 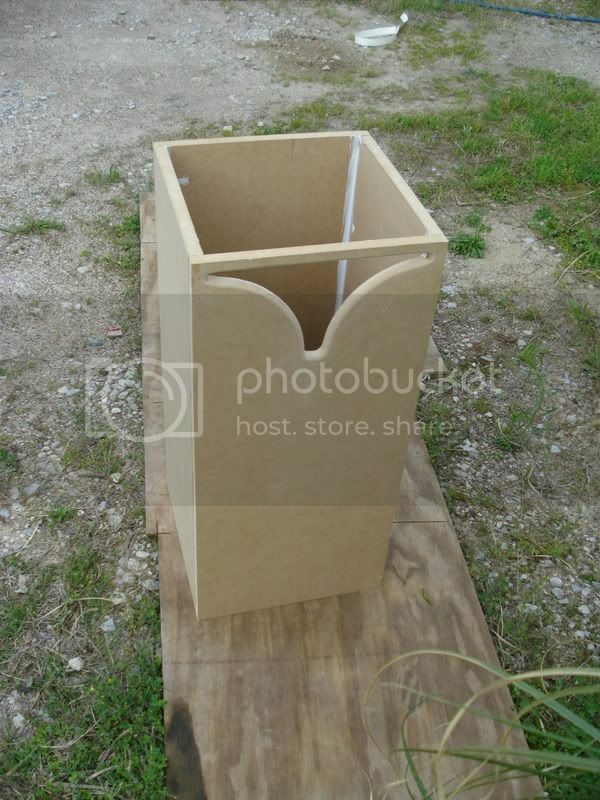 honestly, if the sub is in the right box in the right enviroment the sound is always great ive had 6.5 inch subs and 18s, they can all sound amazing. yea that's true. ok i see them. but how can you build them? do they offer the plans? the hdt's don't look to hard to build. i have some 8inch audio nirvana full range speakers ready for them. your right, i dont see plans for the 944? fostex fe167e / sonic impact / ipod boombox. runs for 2 days on 1 set of rechargeable batteries, gets loud and sounds excellent. wow that's pretty cool. i might have to make one of those. its really nice to have great sound anywhere, quality full range drivers are amazing. if im building a box, working in the yard, on my car, bbq, beach, or anywhere where i want to listen to good quality music, i just take the boom box with freshly charged batteries and like i said, it runs for 16 hours or so depending on volume. its louder than any other boombox ive ever heard and the quality of the sound is wayyyyyyy better. no crappy radio reception for me while im busy, plug the ipod in and im rocking with quality till im done.